Are you looking to buy MSI Quartz Countertops in the Maryland, Virginia, DC, or Philadelphia area? If you are looking for a countertop that is both contemporary and low-maintenance, then you may want to consider incorporating our MSI Q Quartz countertops into the design of your kitchen. Keep reading to learn more about why MSI countertops are one of our top selling products. Or, if you are ready to get into contact with one of our friendly countertop experts, you can call 410-712-0601 or click on one of the buttons below to get a free custom quote. M S International, Inc. is one of North America’s leading distributors of countertop products. Their Q Premium Natural Quartz collection, also known as Q Quartz, was designed to provide homeowners with both an elegant and functional quartz countertop option. 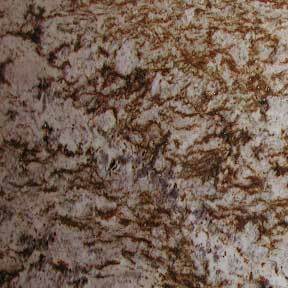 These beautiful countertops are available in over 50 colors and a variety of sizes to accommodate any area of your home. At Express Countertops, we know that each home is unique in design and style. That’s why we offer a wide selection of Q Quartz colors to our customers. 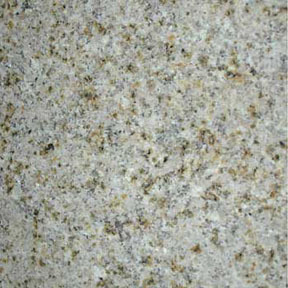 M S International does not sell to the public, but Express Countertops is a proud reseller of Q premium natural quartz. We are able to offer the same wide range of countertop design and style seen on the MSI Q Quartz website. One of the top concerns new countertop purchasers have is whether the surface will be durable enough to handle everyday kitchen activities. We can assure you that Q Premium Natural Quartz will provide you with a functional, yet extremely beautiful countertop solution. The product contains manufactured materials as well as natural quartz stone, which is a mineral known for its strength and durability. One of the main benefits of a quartz countertop is that it will be easy to preserve its natural beauty. Homeowners can be assured that MSI quartz countertops will provide a scratch and heat resistant surface for cooking. Quartz countertops do not require any resealing, polishing, or conditioning. Bonus: Because Express Countertops fabricates everything in-house, you can customize the size, shape, backsplash, and overhang of your countertops. Since MSI Q Quartz is made from a natural quartz stone, there is no need to seal your countertop. Every day cleaning can be done using a soft sponge and warm water. M S International recommends using Mr. Clean, 409, Simple Green, or another similar product to clean up greasy or stubborn messes. All other products should be avoided as they may dull the quartz’s finish. Although quartz is generally resistant to heat, you want to avoid causing any rapid change in countertop temperature. To avoid damage, make sure to use a hot pad when placing any hot items, such as pots or pans, on the counter. Here at Express Countertops, we know how important it is to get the perfect countertop for your unique space. We are dedicated to helping you find a countertop that fits into your budget as well as your home. You can contact us for a free MSI Quartz Countertops quote, or call us today at 410-712-0601 to get more information about the countertop options we offer. We offer a 7-Day Installation Guarantee, ensuring your countertops are completely installed within one week of your final decision. Give us a call to start planning your fast, easy countertop installation project!